For most Westerners, the concept of a language with hundreds of different dialects and multiple written systems is a completely alien one. There are, in fact, so many different Chinese dialects, corresponding to areas throughout the various Chinese-speaking regions, that to cover them all would be a truly exhaustive task. Some are so distinctly different as to be considered separate Chinese languages altogether. This would be the case, for example, when comparing Mandarin to Cantonese – each being a distinctly different Chinese language. Ji-Lu, on the other hand, is an example of a language that is sufficiently similar to Mandarin as to be considered a dialect. Oftentimes, however, the distinction between dialect and language is quite vague and open to debate. Nevertheless, regardless of dialect, there are only two systems for writing Chinese, and it’s obviously the written forms of the language that are most relevant when discussing Chinese translation. The first and older of the two written systems – typically referred to as either “Traditional” or “Complex” Chinese – has been in use for hundreds of years and is still in use today in Hong Kong, Macau, Taiwan, and among the majority of Chinese immigrants scattered throughout the world. 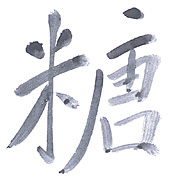 The newer system – Simplified Chinese – is, as its name indicates, a simplified version of the traditional character set, with thousands of the most commonly-used characters having undergone a simplification process throughout the 1950s, 1960s and 1970s, in which the number of strokes used to write those characters was greatly reduced. Today, Simplified Chinese is used only in the People’s Republic of China and Singapore. In determining how to proceed with a Chinese-language translation project, the primary concern is the region or regions in which the translation will be used. If the translation is destined for two regions that utilize different written systems, then, consequently, two different Chinese versions will need to be created independently of each other. However, a focus on region is just as important, as different regions use different terminology – and often different characters – to express the same concept. A Traditional Chinese translation done in Hong Kong, therefore, might not be suitable for use in Taiwan, and vice versa. The potential pitfalls associated with written Chinese require a certain amount of expertise and knowledge of how Chinese differs from one region to the next. For this reason, it’s important that clients give their project manager thorough and accurate information regarding precisely where the translations will be used, which will allow the project manager to develop a strategy that will ensure the project’s ultimate success.